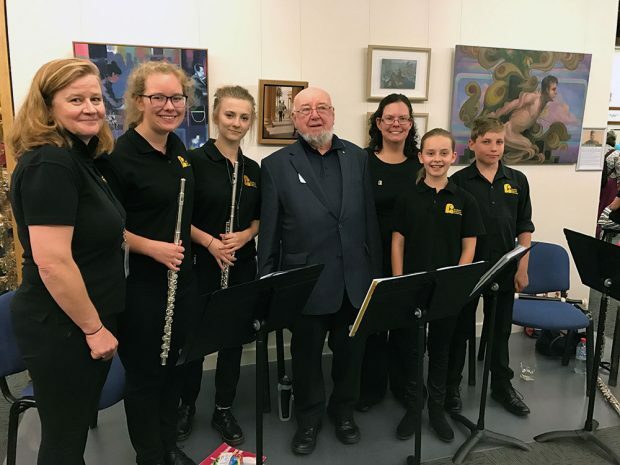 Last Thursday, 1st December, SMSA was pleased to host the Windies from the Goulburn Regional Conservatorium (GRC) at our annual members’ Christmas party. 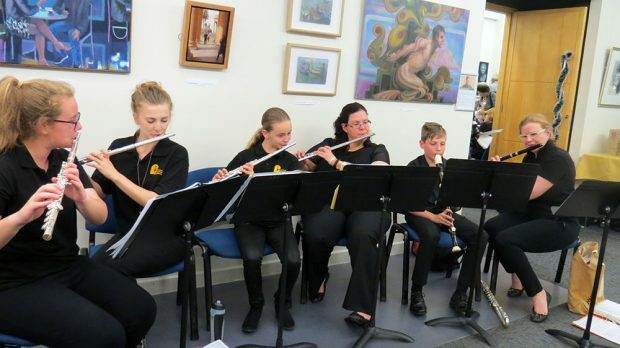 This group of talented young musicians, Sarah, Lucinda, Phoebe and Alexei along with their conductor Emma and adult player Sarah, traveled from Goulburn to treat our members to a variety of music during the evening. Their performance was thoroughly enjoyed by all in attendance. 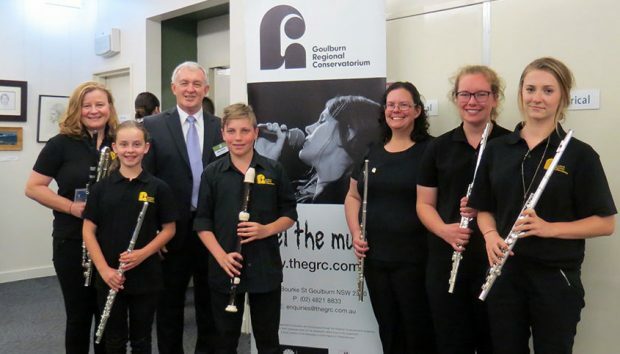 The Windies are the counterparts to the Goulburn Strings, an initiative of the Goulburn Regional Conservatorium that provides opportunities for students from Goulburn Public School to learn to play stringed instruments. The program has had great success in improving outcomes for the children and families involved, many of whom are from disadvantaged backgrounds. The Sydney Mechanics’ School of Arts awarded GRC a grant of $10,000 earlier in 2016 to help support the project. SMSA President Denis Mockler and Secretary Brian Johnston were delighted to surprise the Windies on Thursday evening with the presentation of a further grant of $5,000 for the GRC. The grant was accepted on behalf of the Goulburn Regional Conservatorium by Emma Knott, conductor and player with the Goulburn Windies.